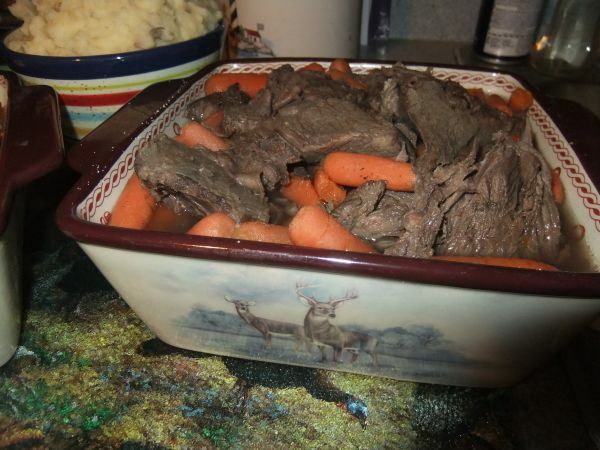 Take a big deer roast from past season out of the freezer,put in crock pot with veges,water,salt and pepper set ur timer,put on your boots and go turkey scouting for 4 or 5 hours. Come back tired and cold,walk in the door and smile when you think of how smart you were for thinking to do this before you left. Kick off your boots make some cornbread and chow down while you watch some turkey hunting dvds. This is called living the good life,lol....and I'm living it right now.